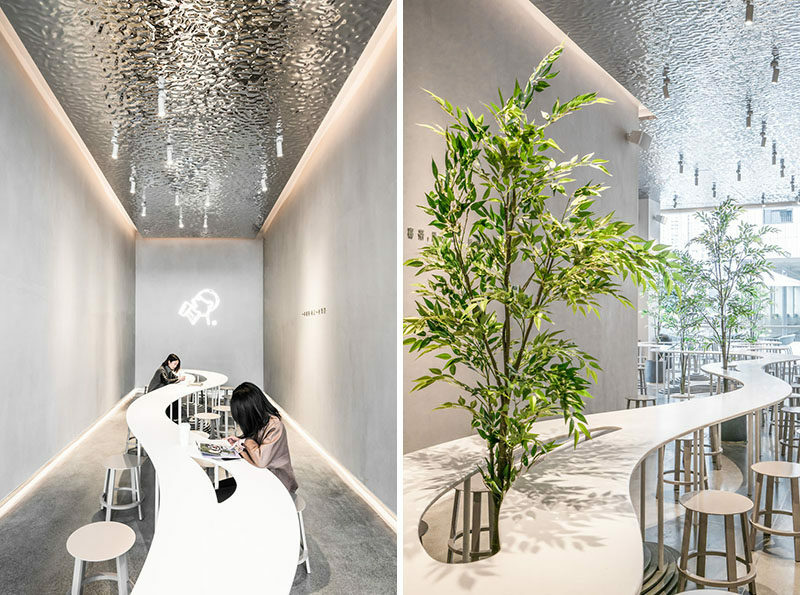 A.A.N ARCHITECTS have designed three locations of HEYTEA, a chain of tea shops in China, that each have their own unique look, featuring communal seating areas. 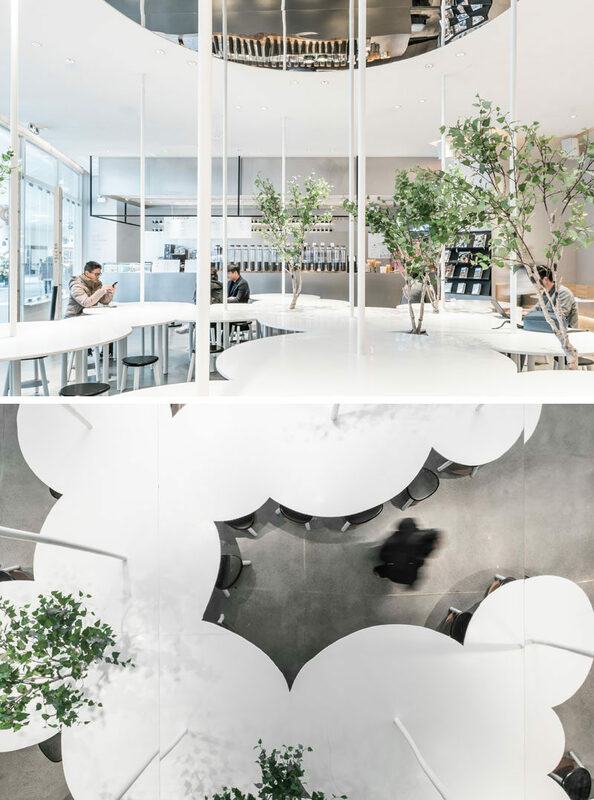 The first tea shop has a large table consisting of 19 smaller tables that are connected, allowing people to sit and face each other. Plants add a natural touch, while the entire area is reflected in the mirror above. 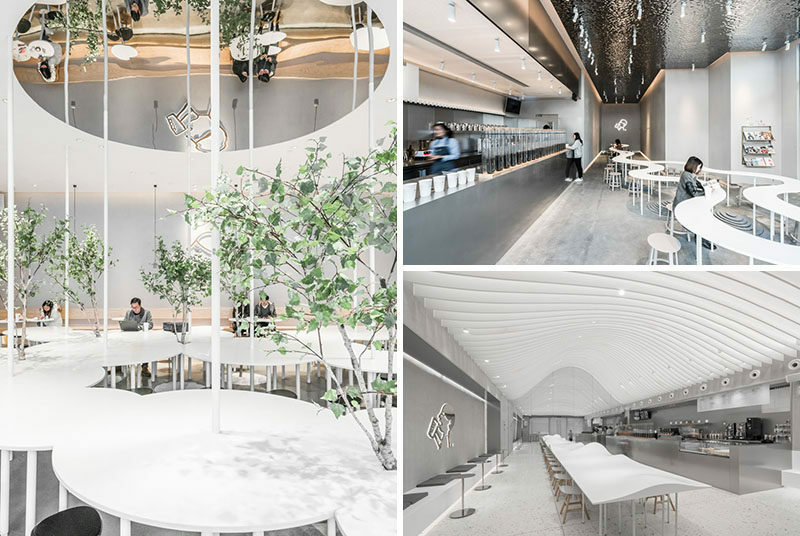 In the second tea shop, natural curves represent a mountain stream, and are reflected in the design of the communal table. The curves in the table allow guests to sit in the bends, creating different distances between people. The curved seating ends in an alcove that has a mirrored rippled ceiling. 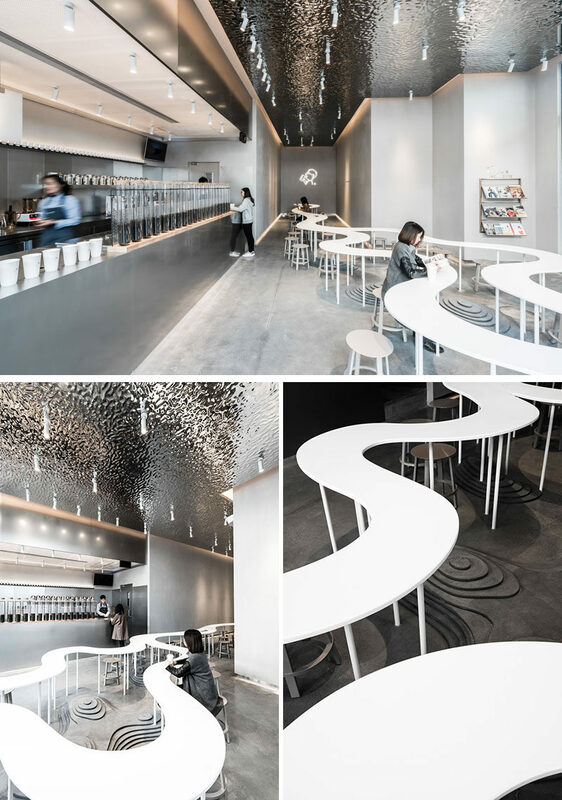 The design of the third tea shop is inspired by the hills and mountains found in China. 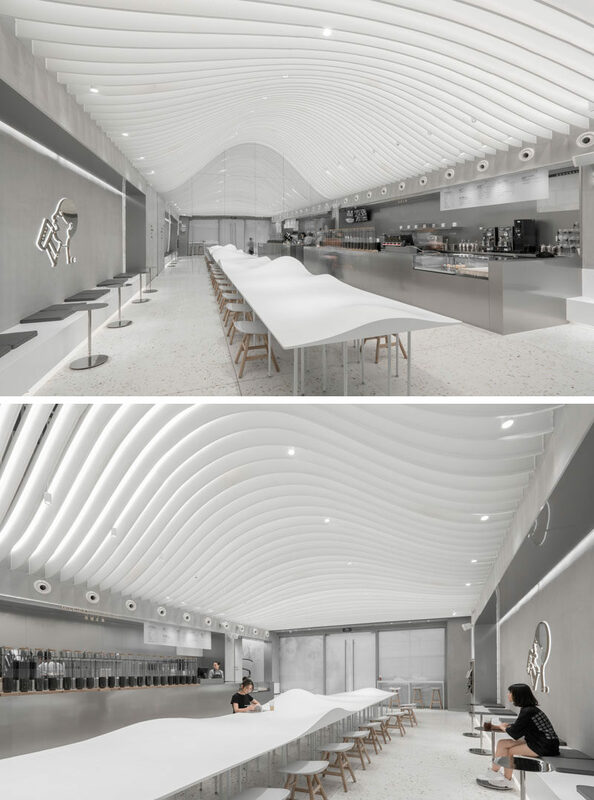 A single long table is centrally located, and features an irregular hill-like surface, while the design of the ceiling is also curved.